Controversial activist Michael Weinstein is behind a misleading initiative proposed for California’s November 2016 ballot. The measure would prohibit the state from entering into contracts to purchase prescription drugs unless the prices are the same or lower than the special discounts provided to the U.S. Department of Veterans Affairs (VA) and our nation’s veterans. This attempt to limit state contracts is unworkable and unenforceable. Representatives of the VA and the U.S. Government Accountability Office (GAO)1 have warned that a mandatory extension of VA contract pricing to other sizable populations, including state government purchasers, could result in unintended negative consequences like increased health costs for veterans and their families by undermining special price considerations provided to the VA on behalf of those who serve our country. 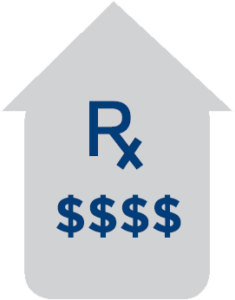 Analysis of similar past proposals shows that passage of this flawed California measure could significantly increase VA and Department of Defense (DOD) prescription drug prices. This measure could result in higher prescription drug copays and reduced access to medicines for the over two million veterans, active duty military, their dependents and military retirees residing in California, plus 21 million veterans nationwide that served our country in uniform. Previous attempts to extend VA pricing to other groups were curtailed over concerns that prescription drug prices for the VA would increase. The VA and pharmaceutical manufacturers negotiate special discounts for the benefit of veterans, retirees, active duty military and their families in recognition and appreciation of their dedicated service to our country. These discounted prices are intended to support and assist our nation’s veterans and military personnel. They would not be sustainable if applied to additional programs in California or other states. In fact, the VA and the GAO have, on multiple occasions, warned that extending VA pricing to other sizable health care programs could undermine these special price considerations provided to those who serve our country. After enactment of the 1990 Omnibus Budget Reconciliation Act (OBRA), which factored VA pricing into state Medicaid rebate calculations, the GAO found that VA and DOD prescription drug costs increased by tens of millions of dollars in one year.3 That requirement was later repealed. In the mid 1990’s, Congress considered extending the VA’s Federal Supply Schedule (FSS) prices for drugs to state and local governments. The VA analyzed the potential impact and again warned that such a proposal could increase its drug spending by about $250 million annually, in 1990 dollars. 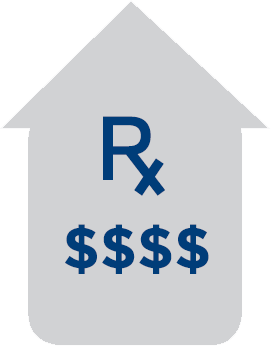 Higher prescription drug costs for the VA and DOD could translate to higher co-pays and reduced access to medicines for veterans, active duty military personnel and their families and retirees. As part of the 2016 National Defense Authorization Act, Congress voted to increase co-pays that military retirees and dependents of active duty military pay out of pocket by 25%. If the ballot measure passes, and VA and DOD drug costs go up, we can expect added pressure to increase prescription drug co-pays that veterans, military retirees and dependents of active duty military have to pay out of pocket. Alternatively, the VA and DOD could deal with higher drug costs by deciding to omit certain drugs from their formularies – limiting veterans, military personnel and retiree access to needed medications. Formerly known as the General Accounting Office. These discounts are also extended to the Coast Guard and Public Health Service. US General Accounting Office, “Medicaid: Changes in Drug Prices Paid by VA and DOD Since Enactment of Rebate Provisions.” Page 16, September 18, 1991 http://gao.gov/assets/220/214927.pdf. US General Accounting Office, “Prescription Drugs: Expanding Access to Federal Prices Could Cause Other Price Changes.” Pages 17-18, August 7, 2000 http://www.gao.gov/assets/240/230510.pdf.